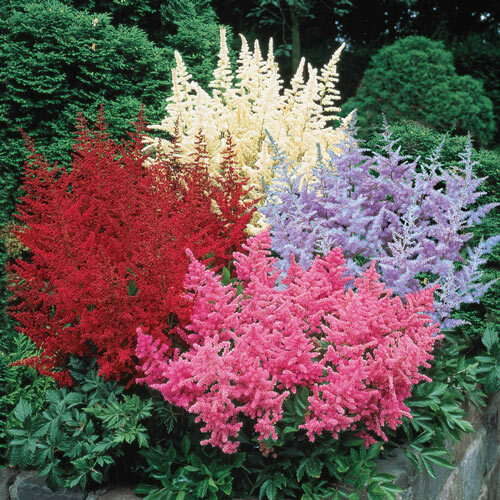 The savvy gardener's secret for adding bright colour in low-light areas, astilbe is easily one of our favourite perennials for shade. 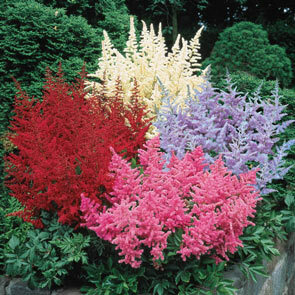 Tall, feathery plumes of white, pink, lavender and red are held high above dark green, fernlike foliage--a vivid companion for hostas and ferns. Astilbe is so low maintenance and easy to grow, we even find it blooming carefree along roads and canals near our Holland headquarters. 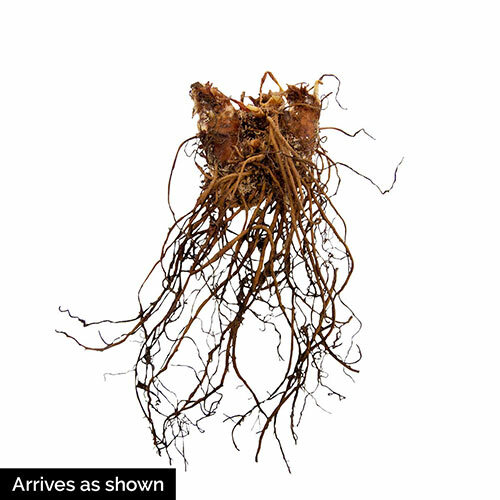 Covers 35−50 sq ft when planted together.